These were the first words William Eggleston uttered when I asked what he felt he was accomplishing with his photographs. Another fine photographer from the South, William Christenberry, had brought Eggleston to meet me at the Corcoran Gallery of Art around 1970. The three of us had looked through a box of Eggleston’s 8 x 10 chromogenic coupler prints in silence. By the time I went through the prints a second time, I believed them to be the finest work in color photography I’d seen. In 1974 while serving at the Smithsonian’s National Museum of American Art, I was planning an exhibition of Eggleston’s work which would have been that institution’s first exhibit of photography as fine art. When I learned that John Szarkowski, the distinguished curator of photography at the Museum of Modern Art, New York wanted to make the first museum presentation, I deferred my plan. 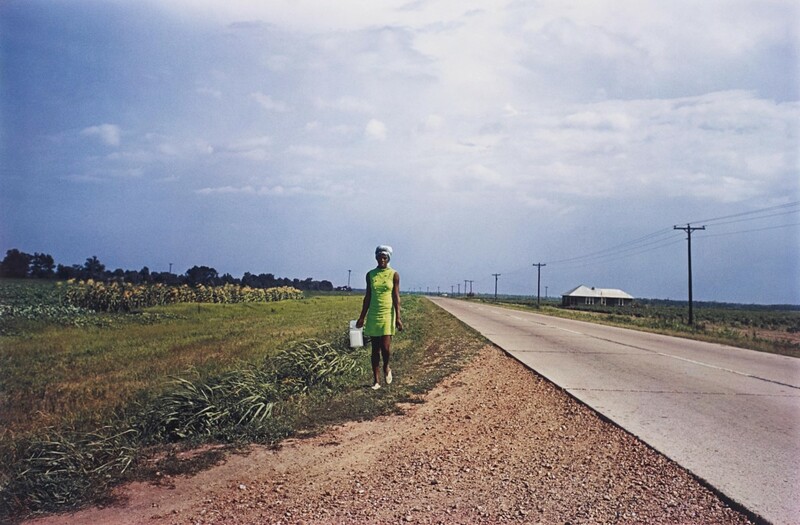 To accompany the exhibition, Szarkowski edited a selection of Eggleston’s color photographs, largely people and places in the Mississippi delta published as Eggleston’s Guide. 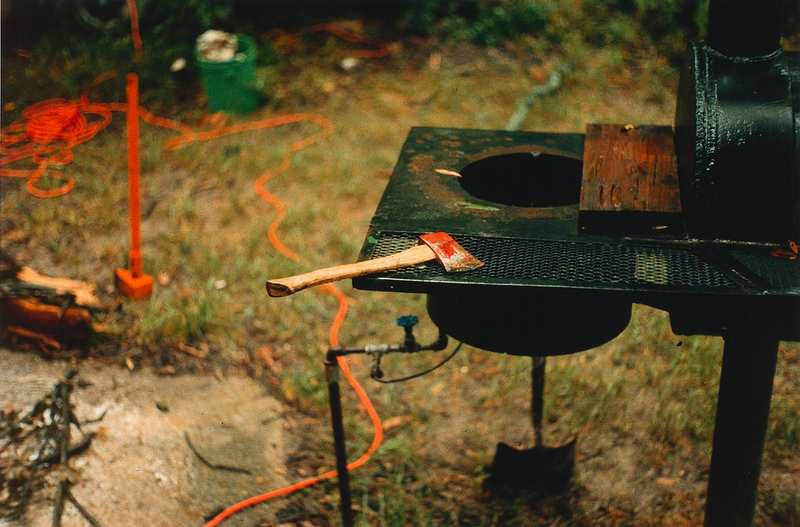 His essay, the first important text addressing Eggleston’s work and to this day perhaps the best, emphasized in a positive light the way Eggleston made his seemingly documentary photographs carry the enriched reverberations of fiction. 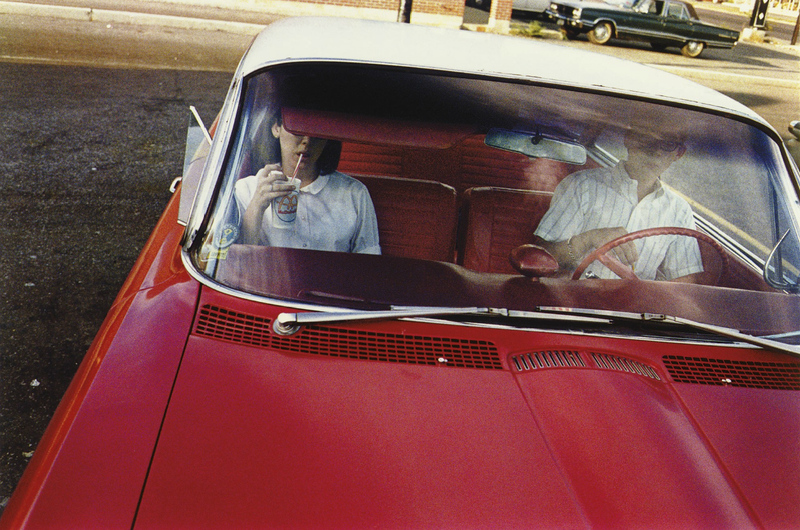 The first important text addressing Eggleston’s work and to this day perhaps the best, emphasized in a positive light the way Eggleston made his seemingly documentary photographs carry the enriched reverberations of fiction. 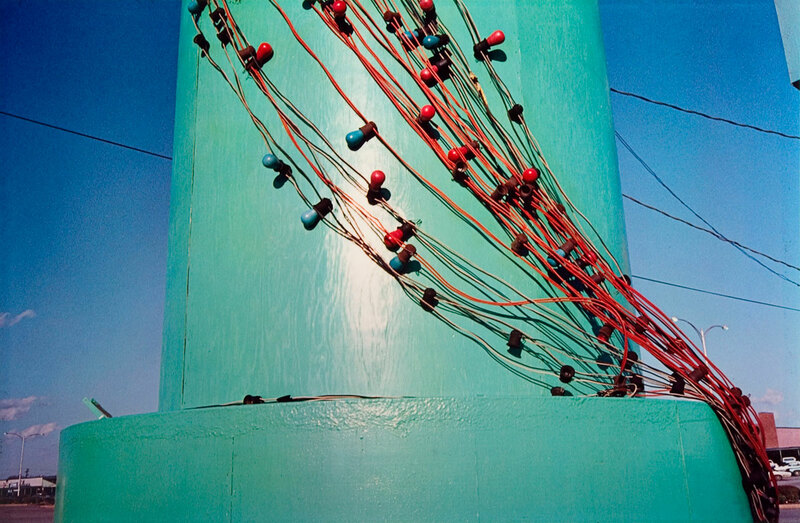 Eggleston’s color is always naturalistic. If the color print seems lurid, that’s the way the subject was found. Calm, subtle, uncolorful subjects are photographed in just this way. Nonetheless, the subjects would mean far less if they were presented in black and white. 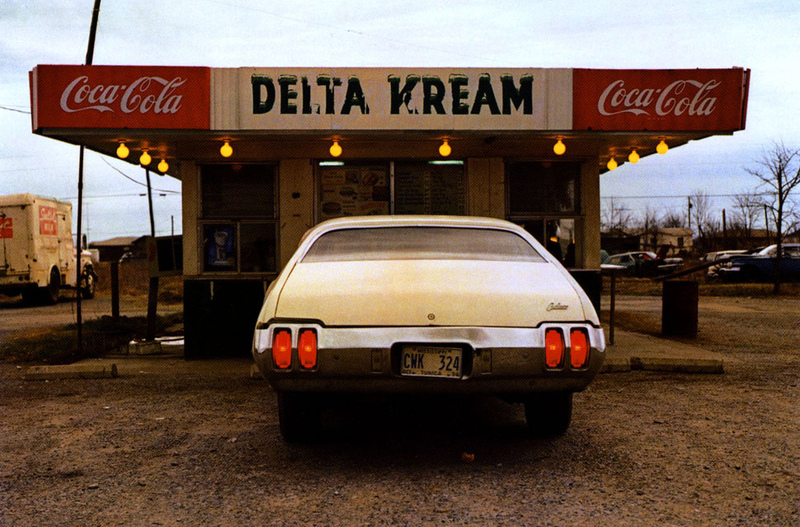 However, over the years Eggleston has done bodies of work in black and white photography and videotape. With each shift in medium, the kinds of compositions and nature of the images somehow changes to fit his vision. 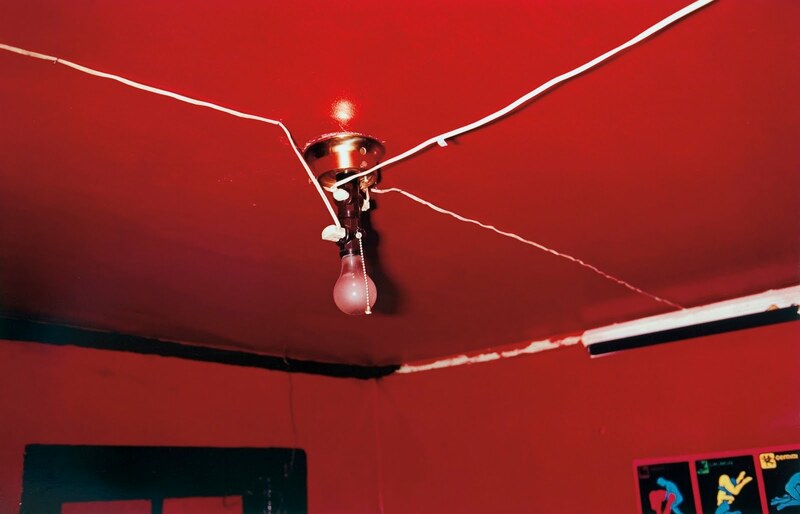 Over the past forty years Eggleston has exposed an enormous amount of film for someone who does not work on assignment. Perhaps his only contemporary, Gary Winogrand is as comparably prolific. 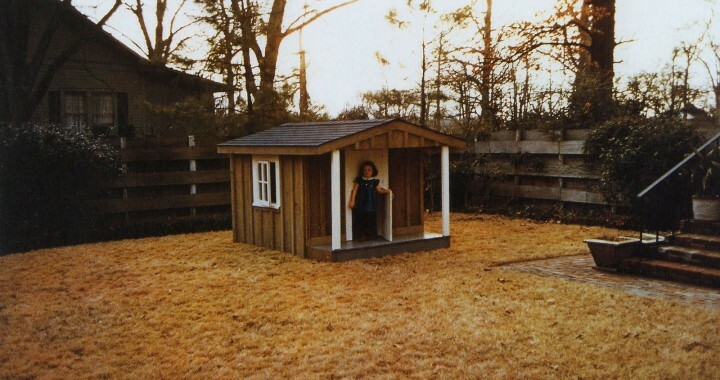 Eggleston’s home is Memphis, Tennessee, on the northern edge of the Mississippi delta. The places, parts and people of the region comprise the center of Eggleston’s world just as they had for the great American novelist William Faulkner in Oxford, Mississippi in the eastern part of the delta. Both of these men have had the ability to imbue seemingly modest subject with extraordinary moral weight and dignity. 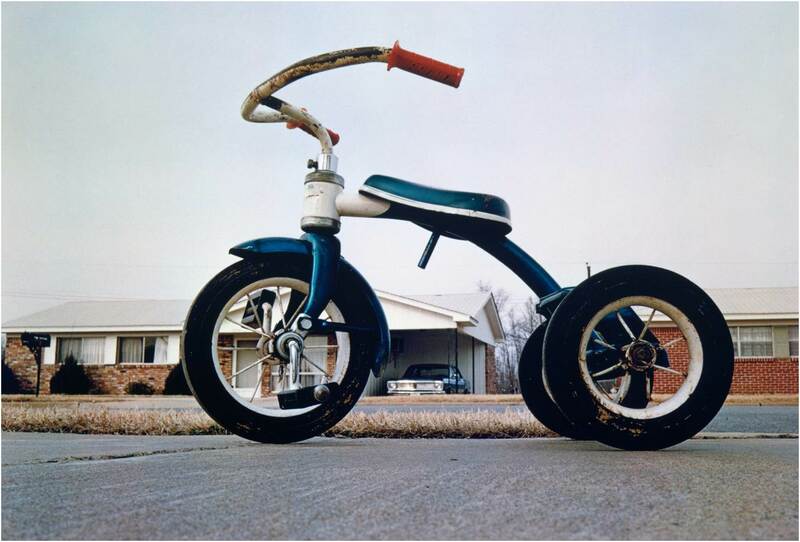 Over the past forty years Eggleston has exposed an enormous amount of film for someone who does not work on assignment. Perhaps his only contemporary, Gary Winogrand is as comparably prolific. Eggleston’s editing process is rigorous. To date, a relatively small portion of his finest work has been exhibited and published. Eggleston, working with Caldecot Chubb, has chosen original prints to be presented in four bound books and five unbound portfolios. 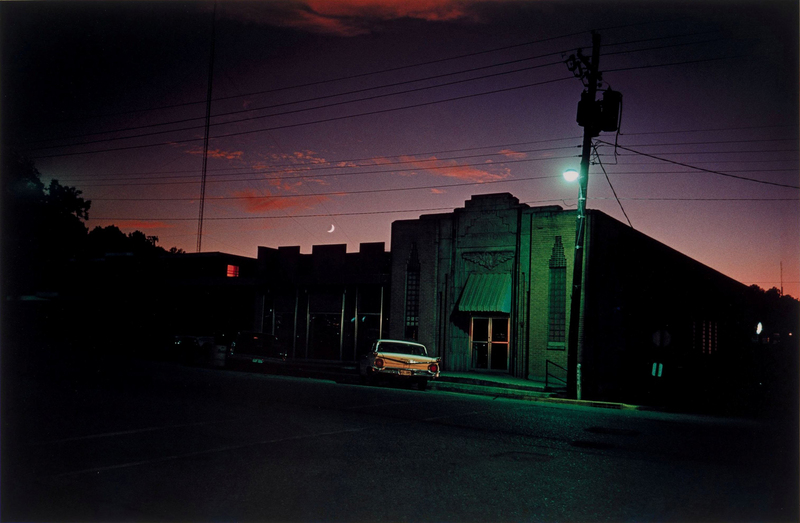 Eggleston’s home is Memphis, Tennessee, on the northern edge of the Mississippi delta. ‘His prodigious output has barely been seen, yet he is only in mid-stride. He continues to cut to the heart of the ordinary, probing at those things which constitute tangible dimensions, like some concrete explorer. Or, as a great exotic, he can be in the kitchen or in Zanzibar, staring at the dirt by his boot or looking up at the sky. Posted in Essays, Highlights, Street Photography and tagged American Color, Color Photography, Essay W, Snapshot Aesthetic, South, Southern Artist, William Eggleston.